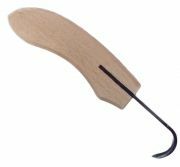 Tool for the creation of deadwood. 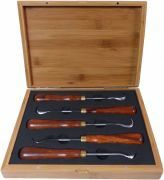 Carving tools for processing and shaping deadwood in an elegant wood box. 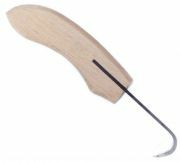 Carving tool for dead wood. Real wood handle. 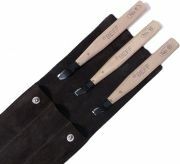 Carving tools for processing and shaping deadwood in an elegant suede hull. 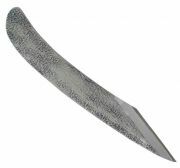 This tool is used for Jin and Shari- techniques. Made in Japan. For shapings on large trees with hard wood. 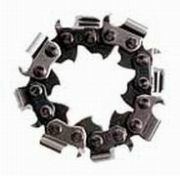 Spare wheel for milling 3400. 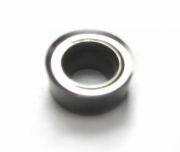 Spare wheel for milling 3402, 3409, 3410, 3411. 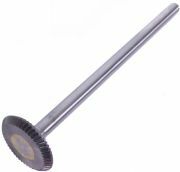 Spare wheel for milling 3403. For medium / large work. 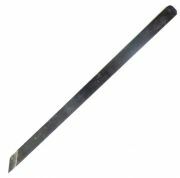 Hardened steel for very hard wood. 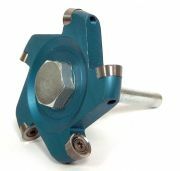 This tool should have 20.000 rpm with at least 250 Watts. 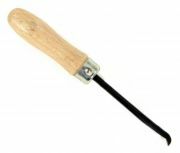 Made for precise and fine work. Needs high rotaion speed. Made for precise and fine work. Needs high rotation speed. Made for precise and fine work. Needs high rotarion speed. For fine / medium work. 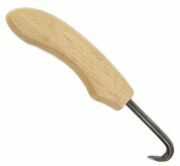 Hardened steel for very hard wood. 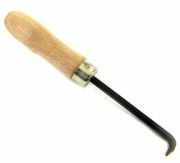 This fine cutter head is designed for very small and fine work,eg. to carry out the milling of Mame bonsai. 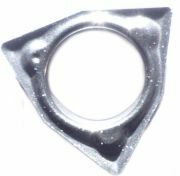 This fine cutter head is designed for small jobs. 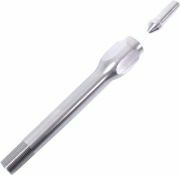 The tip is suitable for milling aswell as for drilling hollowing out of branches / trunks. 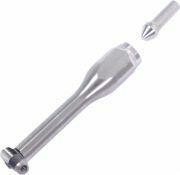 This requires a strong Milling cutter with about 15,000 rpm. 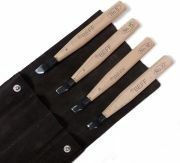 Essential equipment for the shapers. 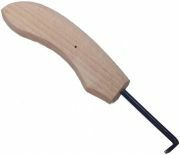 You need this tool to loosen or change the cutting wheels. 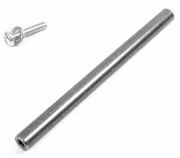 Extension piece for milling head 3430. 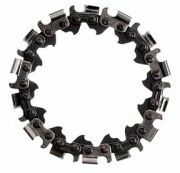 Replacement chain for Merlin Grinder 3450. 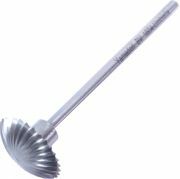 This steel-brush is an inexpensive alternative to expensive shaping tools. 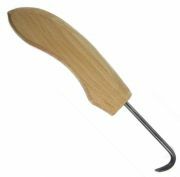 The brush is not as efficient as the shapers, but useful for fine finishing or bark and smooth wood. 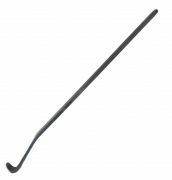 Consists of item no's: 3471-19 and 3471-24 (horsehair), 3472-19 and 3472-24 (brass), 3428-19 and 3473-24 (stainless steel) and the shaft 3469. 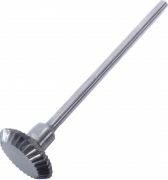 Consists of item no's: 3471-19 and 3471-24 (horsehair), 3472-19 and 3472-24 (brass), 3428-19 and 3473-24 (stainless steel) and the shaft 3470. 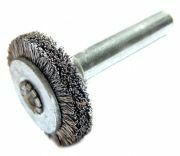 Horse hair brush wheel to place on the 3 or 6 mm shaft with a 3 mm tread connection. 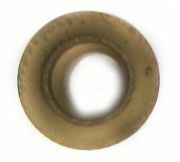 Brass brush wheel to place on the 3 or 6 mm shaft with a 3 mm tread connection. 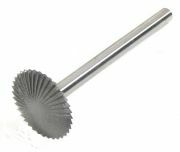 Steel brush wheel to place on the 3 or 6 mm shaft with a 3 mm tread connection.